"Before any voice can be sent, a call must be placed. In an ordinary phone system, this process involves dialing the digits of the called number, which are then processed by the telephone company's system to ring the called number. With VOIP, the user must enter the dialed number, but after that a complex series of packet exchanges must occur. The problem is that computer systems are addressed using their IP address, but the user enters an ordinary telephone number to place the call. The telephone number must be linked with an IP address to reach the called party, much as an alphabetic web address, such as www.nist.gov must be linked to the IP address of the NIST web server. A number of protocols are involved in determining the IP address that corresponds to the called party's telephone number. "Once the called party answers, voice must be transmitted by converting the voice into digitized form, then segmenting the voice signal into a stream of packets. The first step in this process is converting analog voice signals to digital, using an analog-digital converter. Since digitized voice requires a large number of bits, a compression algorithm must be used to reduce the volume of data to be transmitted. Next, voice packets are inserted into data packets to be carried on the Internet. The protocol for the voice packets is typically the Real Time Protocol, RTP. RTP packets have special data fields that hold data needed to correctly re-assemble the packets into a voice signal on the other end. But voice packets will be carried as payload by UDP protocols that are also used for ordinary data transmission. In other words, the RTP packets are carried as data by the UDP packets, which can then be processed by ordinary network nodes throughout the Internet. At the other end, the process is reversed: the packets are disassembled and put into the proper order, digitized voice data extracted from the packets and uncompressed, then the digitized voice is processed by an digital-to-analog converter to render it into analog signals for the called party's handset speaker." Lyons, Daniel, Technology Convergence and Federalism: The Case of VoIP Regulation (April 19, 2012). University of Michigan Journal of Law Reform, 2012; Boston College Law School Legal Studies Research Paper No. 296. William Jackson, “With VoIP, Digital Department Comes of Age at Commerce” . Chérie R. Kiser & Angela F. Collins, Regulation On The Horizon: Are Regulators Poised To Address the Status of IP Telephony?, 11 CommLaw Conspectus 19, 20-21 (2003). B. Goode, Voice Over Internet Protocol (VOIP). Proceedings of thee IEEE, VOL. 90, NO. 9, Sept. 2002. R. Sinden, Comparison of Voice over IP with circuit switching techniques&rdquo;. Department of electronics and Computer Science, Southampton University, UK, Jan. 2002. P. Mehta and S. Udani, Overview of Voice over IP. Technical Report MS-CIS- 01-31, Department of Computer Information Science, University of Pennsylvania, February 2001. Elizabeth M Donahue, Directly Competing Policies: The Growth of Internet Telephony and the Future of the Universal Service Fund, 9 Commlaw Conspectus 225 (2001). C-N. Chuah, Providing End-to-End QoS for IP based Latency sensitive Applications.&rdquo;. Technical Report, Dept. of Electrical Engineering and Computer Science, University of California at Berkeley, 2000. The Internet Protocol (IP) and Global Telecommunications Transformation by Terry McGarty. "Presented at the "Creative Destruction: Telecomm in Transition" Conference, Tufts University, Cambridge, MA, March 12, 1999. England, Christer. "Taxonomy of Internet telephony and multimedia standards." (PDF) 1997. Shuster, Marc. "Adoption and Demand of IP Telephony Services." (PDF) ITC 1997. Sears, Andrew L. "The Effect of Internet Telephony on the Long Distance Voice Market." ITC working paper, 1996. Sears, Andrew, Phil Mutooni, Rob Cheng, et al. "A Cost Model of Internet Telephony for Regulatory Decision Making." FCC Comment, 1996." Tuan N. Samahon, The First Amendment Case Against FCC IP Telephony Regulation, 51 Fed. Com. L.J. 493 (1993) (pdf). "VOIP is also cost effective because all of an organization's electronic traffic (phone and data) is condensed onto one network. Although there is a non-trivial initial startup cost to such an enterprise, significant net savings can result from managing only one network and not needing to sustain a legacy telephony system in an increasingly digital/data centered world. Also, the network administrator&rsquo;s burden is lessened as they can now focus on a single network. There is no longer a need for several teams to manage a data network and another to mange a voice network. The simplicity of VOIP systems is attractive, one organization / one network; but as we shall see, the integration of security measures into this architecture is very complex." CASE STUDY Voice over IP - cost benefits and security concerns .Based on a successful implementation by the Australian Universities, sponsored by CSIRO. Performance and Security Analysis of SIP using IPsec, National Institute of Standards and Technology, January, 2004. J. Rosenberg and H. Schulzrinne, SIP Traversal through Residential and Enterprise NATs and Firewalls. Internet Draft, Internet Engineering Task Force, Mar. 2001. Douglas C. Sicker, Tom Lookabaugh and Patrick S. Ryan, A Model for Emergency Service of VoIP Through Certification and Labeling, Federal Communications Law Journal, Vol. 58, pp. 146 - 200, 2005. Sicker, D.C., Lookabaugh, T., "VoIP Security: Not an Afterthought," ACM Queue Magazine, Vol. 2 No 6, pp. 56-64, 2004. Sicker, D., and Stuka, M., "An Evaluation of VoIP Traversal of Firewalls and NATs within an Enterprise Environment," Information Systems Frontiers Journal, V. 6, No. 3, pp. 219-228, 2004. CASE STUDY Voice over IP cost benefits and security concerns Based on a successful implementation by the Australian Universities, sponsored by CSIRO. J. Halpern, IP Telephony Security in Depth. White Paper, Cysco Systems, 2002. A. Conry-Murray, Emerging Technology: Security and Voice over IP Lets Talk. Commweb, Nov. 2002. R. Barbieri, D. Bruschi, E Rosti, Voice over IPsec: Analysis and Solutions. Proceedings of the 18th Annual Computer Security Applications Conference, 2002. O. Arkin, Why E.T. Cant Phone Home? 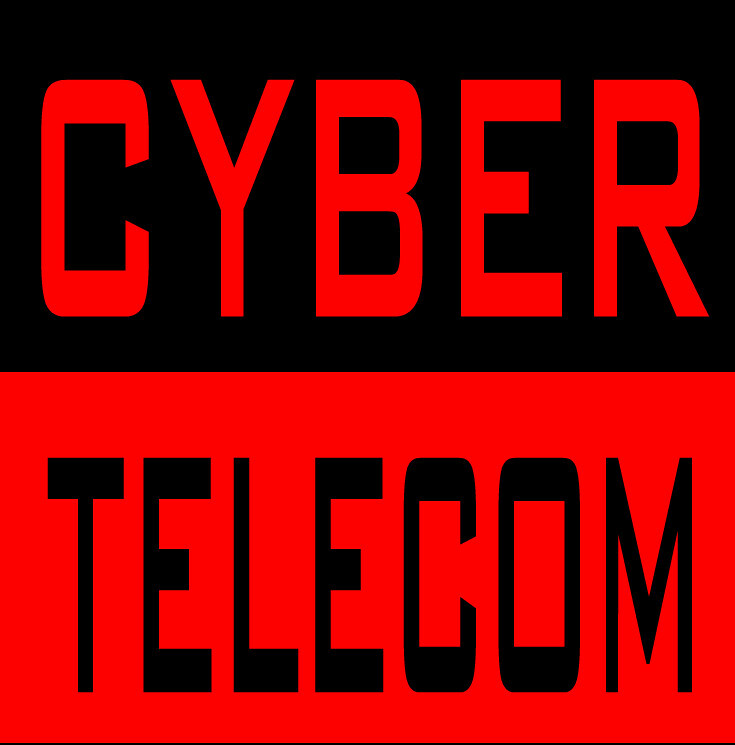 : Security Risk Factors with IP Telephony based Networks . Sys-Security Group, Nov. 2002. Traversing Firewalls and NATs With Voice and Video Over IP: An Examination of the Firewall/NAT Problem, Traversal Methods, and their Pros and Cons . Wainhouse Research, Apr. 2002. M. Marjalaakso, Security Requirements and Constraints of VoIP. Department of Eleectrical Engineering and Telecommunications, Helsinki University of Technology, 2001. Anonymous, H.323 and firewalls: The problems and Pitfalls of Getting H.323 safely through firewalls Developer note, Intel Corporation, Apr. 1997. Center for Democracy and Technology Comment Filed before FCC. Internet Innovation Alliance "believes that broadband Internet will improve Americans' lives by promoting innovation, next generation services and service providers, and more competitive U.S. jobs and firms. To realize its promise, however, public policy makers at the federal and state levels must allow the Internet the freedom to grow and develop." ITAC: United States International Telecommunication Advisory Committee advises the Department of State on U.S. participation in international telecommunications treaty organizations such as the International Telecommunication Union (ITU). Bell Atlantic First to Offer 'Last-Mile' Link for Internet (Sept 9, 1998).